* A Significant Broadcast Event: Today KGOV begins to air what our staff believes is the most important series of author interviews ever produced in the 24-year history of Bob Enyart Live. 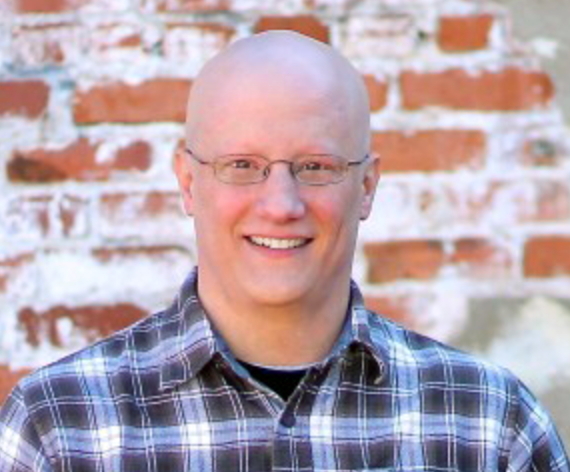 Richard Holland is assistant professor of apologetics and theology with Liberty University Baptist Theological Seminary [2018 update: Now assistant professor of philosophy at Grand Canyon University]. 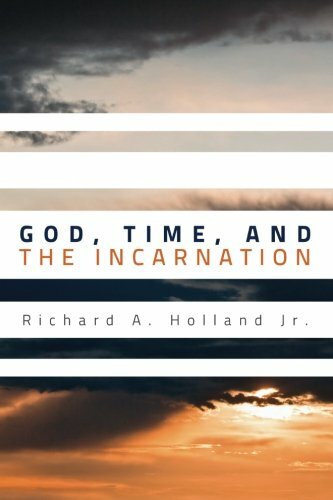 Dr. Holland authored God, Time, and the Incarnation to explore the impact of God the Son becoming a man on the philosophical doctrines of divine timelessness and utter immutability. * Enjoying a Coffee Shop Visit: Rather than conducting a typical author interview and squeezing an overview of a book into a single show segment, instead, Bob and Richard have agreed that they will take their time and review the material as though the two men had half a day free to sit next to a fireplace in a coffee shop to consider one of the most far-reaching observations that any human being can make. Consider the insight into ultimate reality provided by the Incarnation of God the Son! We hope you enjoy this 7-interview series as much as we have enjoyed producing it! So, brace yourself. * Boethius in Stanford's Encyclopedia of Philosophy: The entry for Eternity in Stanford's Encyclopedia of Philosophy states, "Boethius found the source of the idea of eternity which he attributes to God in Plato." * Is God Outside of Time? If you Google: Is God Outside of Time, out of 200 million pages consider relevant, Google ranks our BEL article, Is God Outside of Time? as #2 or #1! Today's Resource: To order Dr. Holland's book, and receive with it a CD of Bob Enyart's complete interview with Richard, please call 8-080-8Enyart, that's 800-836-9278. The book with the CD is $33. As always, BEL offers a 30-day money-back guarantee, and for repeat customers, if you don't love the book, we'll double that, for a double-your money guarantee! That's how much we love this book and think that you will be blessed if you read it also!